Beach Colony Resort, located on the eastern end of Perdido Key, Florida, is a hidden gem in our area. Beach Colony Resort has three beachfront towers located directly on the emerald waters of the Gulf of Mexico. Beach Colony Resort has two outdoor pools, an indoor pool, fitness center, and gated entry. The Beach Colony is located on Perdido Key and sits in a group of other great Gulf-front condos with Indigo to the West and LaPlaya sitting East of the Beach Colony Resort. The Beach Colony is a rent-restricted condominium, which simply means they don’t allow short-term rentals. These restrictions are subject to change, so please contact us for current details. Beach Colony Resort makes a great second home or rental investment condo. 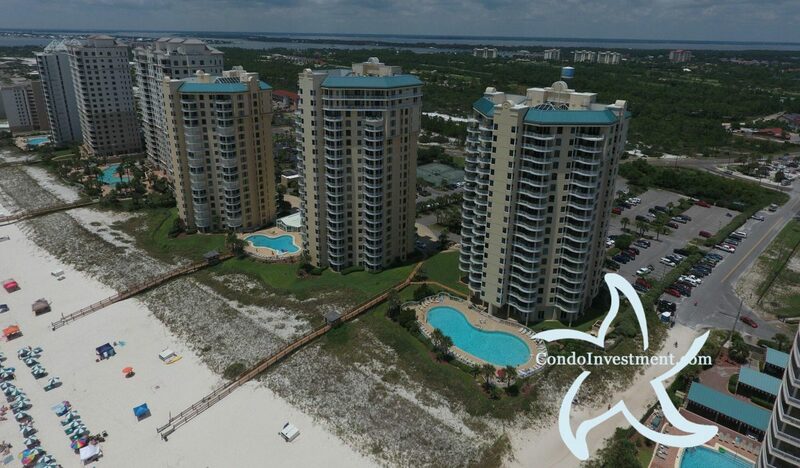 For more details about this or any other condos in the area, visit our Perdido Key condos for sale page for comprehensive information on all other Perdido Key condominiums, including all waterfront, golf course, and any other condominium or townhome in the area. Property details pages have aerial imagery, revenue info, recently SOLD condos and homes, and a lot more helpful information that is regularly updated.